Me again! Its been a while but I have been thinking about what I’m going to do for my next car. I have recently changed my stance on something related to the automotive industry! It has got me thinking and inspired me to put my thoughts into words to see if you all follow my logic! If I was to tell you could probably afford to drive the car of your dreams would you believe me? Furthermore, you can get it as a brand new car! Let that sink in! It is a brand new version of the car of your dreams, and you can drive it! My little white Audi A1 has done a great job over the years but I need something with a little more space! I have always loved the Nissan Qashqai as it is quite big, but still looks quite cute. 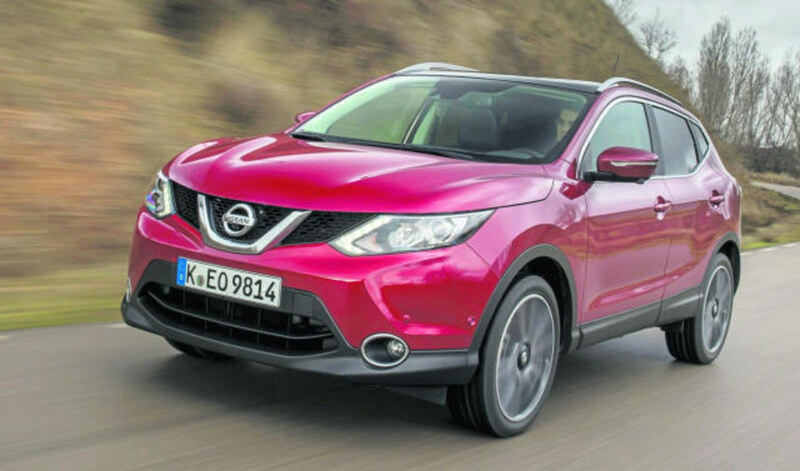 For me, with the kind of car I want, I have two options; spend all of the money I have and have enough to buy a decent second hand car that’s a few years old on finance, or I could put the money towards a Nissan Qashqai Personal Car Lease! It would cover the initial payment as well as a bulk of the monthly payments. At this point, if you’re anything like me you will be picturing yourself in the car of your dreams! If on the other hand you are still considering getting a sensible used car, get off this page right now and never come back. It is the equivalent of paying 8k to date Zac Effron for 4 years or paying 8 grand to marry Brad Pitt. Sure Brad Pitt is still gorgeous, but he’s had his day! He’s done a lot of miles and may not be as exciting as the newer models around town. In this day and age nobody owns anything anyway, no one cares that I’ve got a personal contract hire Nissan Qashqai that leaves me hunting for pounds down the side of the sofa every month, they will just see my watch/steering wheel snapchats and believe I’ve made a success of myself, when really, I can only afford the lease because I still live at my Dads and he doesn’t charge me rent! My sensible/dull Auntie Rachel always says stuff like, “you should buy a used car worth about 12k on finance. Treat it like a saving exercise! Ie, you’re leasing a used car for 3 years, but at the end of it you have asset worth the best part of £8k. So in effect you’ve saved 8k over the course of the lease…” Sounds great on paper, but what the hell does she know, she wears dungarees. Try chatting up a boy up town with a sensible lifestyle of living within your means. I’ll take my chances with the Qashqai. If I think he’ll be put off by the fact I don’t own it, I’ll just lie and tell him I do, or tell him it’s a Nissan Qashqai Business Car lease, that way he’ll think it’s a perk of the prestigious job I’m still trying to get. Either way people will not catch me driving some beat up A1 anymore. No way, I’d sooner wear dungarees! January 5th, 2018 | Uncategorized | Comments Off on Your Next Car: Buy Silver or rent Gold?